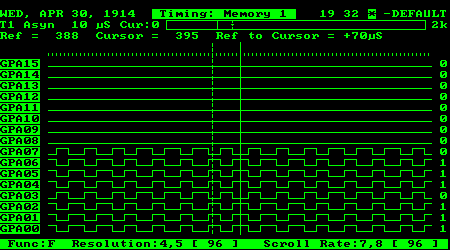 Made in the 1980s, the Tektronix 1230 is a general purpose logic analyzer that supports a maximum of 64 channels with up to 2048 bytes of memory per channel. 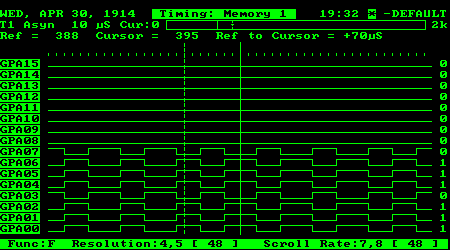 Despite being huge and heavy compared to today’s tiny and portable equivalents (such as the Saleae USB logic analyzer), the 1230 certainly still has its place nowadays, for example to debug older 8-bit designs such as Z80 systems, or simply as an educational tool in a digital electronics class. The probe has the following control pins: EXT, CLK 1, CLK 2, QUAL as well as input pins D0-D15 for channels 0 to 15. The CLK pins are only needed if the logic analyzer is configured to use a synchronous clock, in which case CLK 1/CLK 2 will decide when the logic analyzer begins to capture signal samples. Whether the trigger is done on a rising edge or a falling edge is decided by the CLK 1/CLK 2 DIP switches in the centre of the probe box. I leave it as an exercise for the reader to experiment with the qualifier settings and understand how they actually work after reading this article. 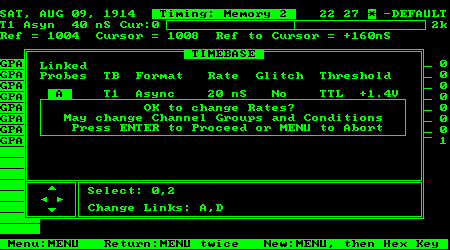 The Utility menu group contains device time and parallel/serial port settings. 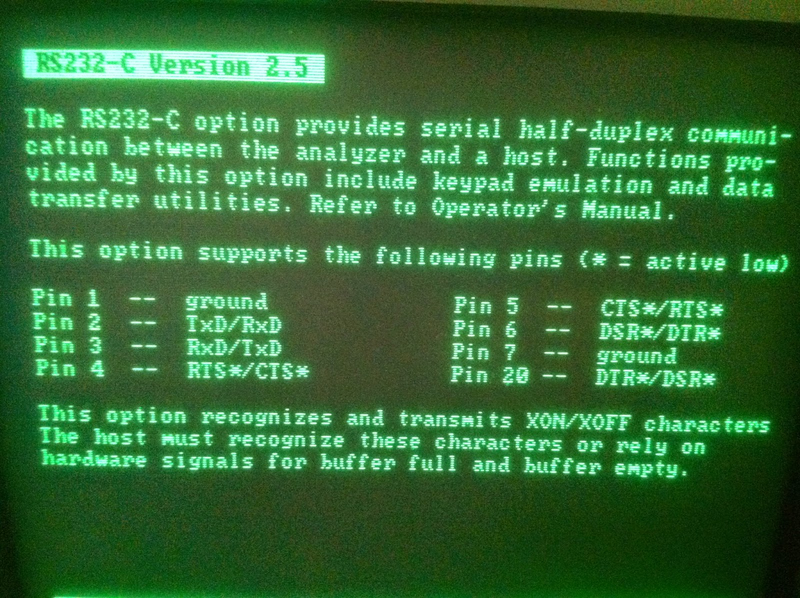 It also provides options to save the current setup to be restored later. Important settings that control the data acquisition behaviour are found in the Setup and Data menu groups. Although the time settings allow years between 1900-2099, the year would jump back to 1914 even if 2014 is selected after a reboot. Some sort of Y2K issues, I believe. Pressing the NOTES key on any screen will show the instruction text for that screen. To print a screenshot of the current screen, double pressing the NOTES key. 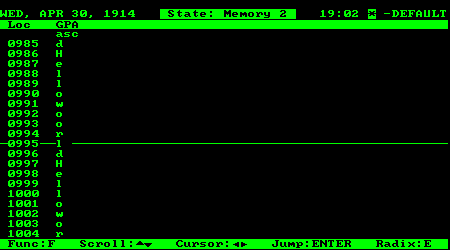 Pressing the D key while in the Printer Port menu will print the contents of the currently active memory bank. The Timebase menu allows you to set the type of timebase for each probe (synchronous/asynchronous), the rate of sampling (for asynchronous timebase), and the voltage threshold for low/high signals. The default threshold is 1.4V, which means that any signal above 1.4V will be considered as logic high. With this setting, the logic analyzer supports both TTL and CMOS signals. The interface is not user-friendly at all here, but that is typical for a machine of this era, isn’t it? The display shows several channel groups (GPA, GPB, GPC, etc. 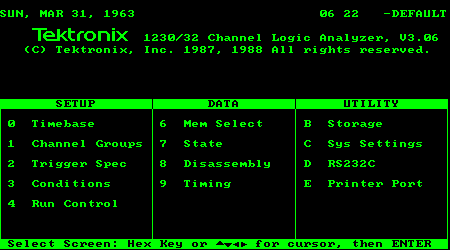 ), with each channel supporting binary (BIN), octal (OCT) or hexadecimal (HEX) radix. The channel definition strings have several lines showing which channels in which probes belong to the specified channel groups. The first line is the probe name (A, B, C or D) and the next 2 lines are the channel number (00 to 15). 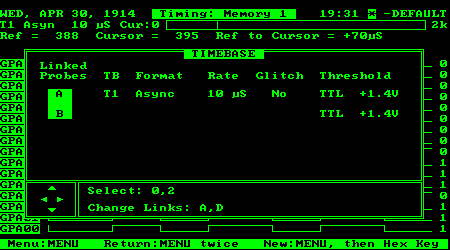 For example, in the above screenshot, channel group GPA is in binary format, uses timebase T1 with positive polarity and contains channels 00 to 15 in probe A. This is perhaps the most complicated screen in this logic analyzer. Further information is available in the device’s help page for the screen. 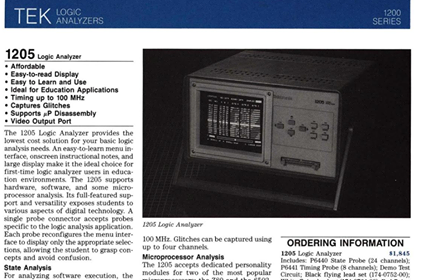 The logic analyzer has 4 memory banks, each holding up to 2048 data points. It has two display modes for captured data: timing and state. In timing mode, signal levels (low/high) are displayed. 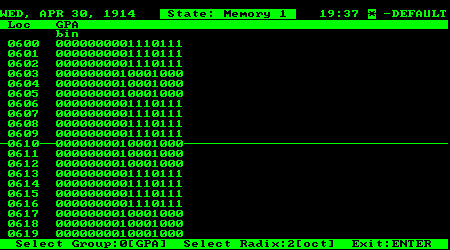 In state mode, values of 0 or 1 as captured, or if configured, their hexadecimal, octal or ASCII equivalents, are displayed. 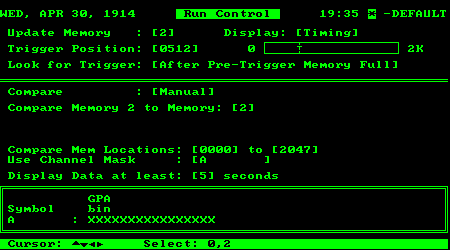 The Run Control menu allows you to configure how the input data will be captured and displayed, such as which memory bank (1-4) to be used for sample storage and the default display mode to be shown after the signal has been captured. 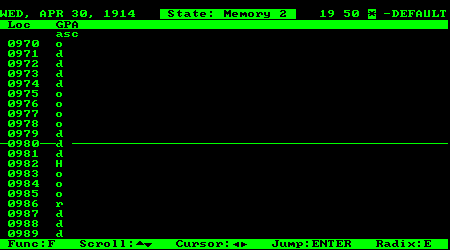 After setting the necessary configurations, press the START button to start capturing the input signals. 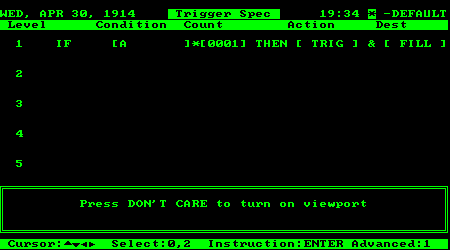 The logic analyzer will proceed to wait for the trigger conditions to be met. To stop waiting, press the STOP button. Although characters such as ‘o’, ‘d’, ‘H’, ‘r’, which apparently come from the original “Hello world” string, can be seen, they are not in order, with some characters appearing more than once. This is explained by the fact that the clock is asynchronous and different from the rate at which the output at PORTB is changed, resulting in wrongly sampled data. Here “SP” stands for “space” (ASCII code 32). 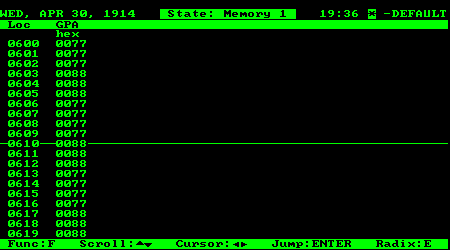 “Hello world” can now be seen clearly in the output, with characters in order and not repeated. 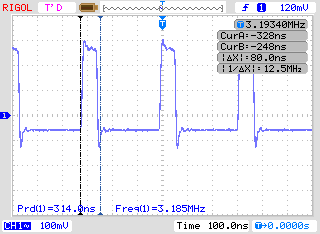 With these tests, I guess the highest signal frequency that the 1230 can reliably work with is around 10-15MHz. Faster signals may not be captured properly due to slow sampling rates and lack of available memory. 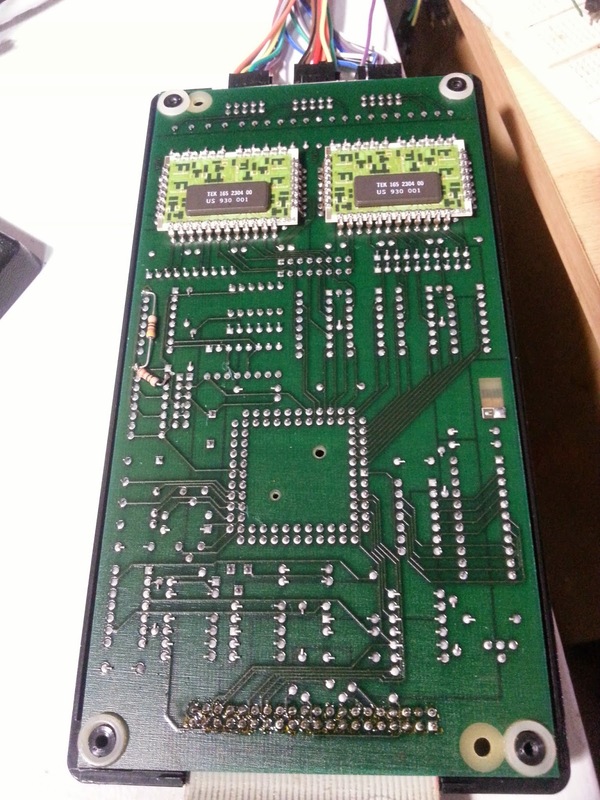 With the appropriate add-on cards installed, the 1230 can also disassemble instructions for the Z80/8085/68K processsors or decode the RS232 protocol using the Disassembly menu. Unfortunately my unit does not come with any add-on cards and none of these cards can be found on eBay nowadays. Therefore, selecting the Disassembly menu will just display an error message saying “Disassembly requires personality module”. 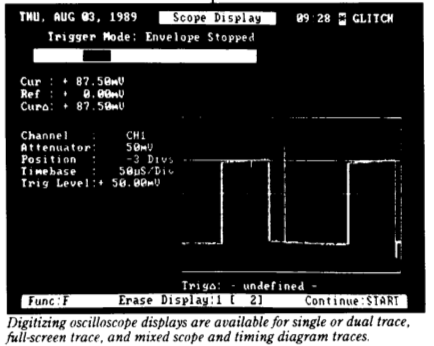 Not surprisingly, getting this logic analyzer to print its screenshot or memory contents is a challenge nowadays, as the only supported printing method is via an Epson-compatible printer through a parallel port, which has disappeared from most desktop computers ever since the introduction of USB. To workaround this, I have developed a tool which uses a PIC24 to emulate a parallel port printer and stores the printout onto an SD card. The printout can later be converted to a bitmap image (.BMP) by using a Windows program. See this article for the full source code and other details about the tool. 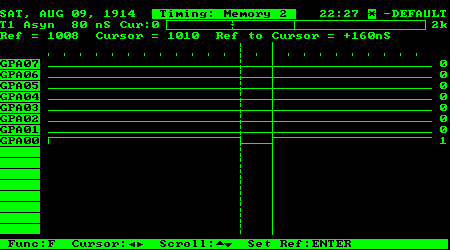 The 1230 prints its screenshots as graphics but prints its memory as text. In text mode, Epson escape codes are used to support simple text formatting (e.g. bold). 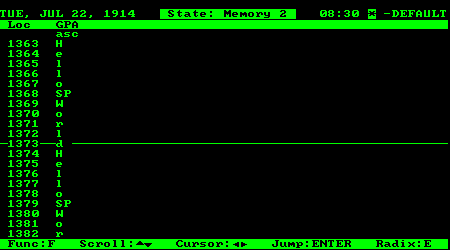 The Windows software I developed can only convert the graphics output to a BMP file. For the memory printout, you can simply read the output file directly using any text editor – most will remove the escape codes (ASCII code < 32) automatically. There are some distortions in the video display, with the bottom and top of the display cut off. This may be due to noises in the video cable or limitations of the video output capabilities. Apart from some Tek proprietary components such as TEK 165 2304 01, there are also quite a few 74-series ICs and some MC10H350P PECL to TTL translators. Except for the processing unit in the center of the board, no other ICs are socketed, making it hard to repair if there are issues. Tektronix 1205: only one single probe port; probes are incompatible with the other models. The only useful information I found for the Tektronix 1230 on the Internet is from an old document with basic technical specifications of the 1230 and some information on the different types of supported add-on cards. I also found here part of the datasheet for the 1205. 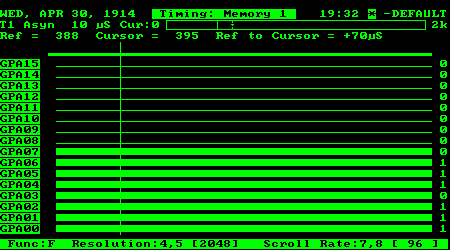 The 1230 uses four EPROMs, two 27C64 for the printer ROM and two 27C256 for the main operating system. The contents of the ROM can be found here. The OS ROMs are labelled 160-5178-02 and 160-5179-03 whereas the printer ROMs are labelled 160-5530-00 and 160-5531-01. 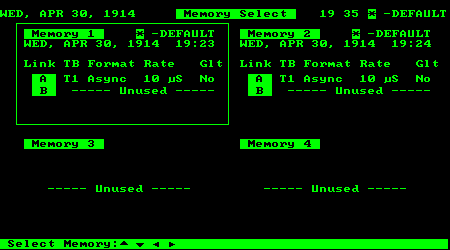 The ROM dumps for the 1225 can be downloaded here. The complete operator’s manual for the Tektronix 1225 can be downloaded here (many thanks to Floopy for helping to scan the files). I have also used Adobe Acrobat to OCR the document, making it easier to search for text. Also, various manuals for the Tektronix 1240, a newer model, can be downloaded from here. Great post, thanks for sharing! I love the old Tek stuff, and document my own adventures on my own blog. I'm also one of the occasional contributors to the tek wiki, http://proxy.w140.com/tekwiki/wiki/. Mind if I link your entry there? Sure, feel free to link to this article from the Tek wiki or from your site. I'd love to have more people reading my post. I am still trying to find the manual for this unit. There are some sellers on eBay offering the manual, but the price is not reasonable. I have yet to find an online PDF version of the manual. As for the choice between the 1241 and 1230, I'd go for the 1241 if one is available as it has more features and lots of documentation available on the net. I picked the 1230 only because it's available for a cheap price from my local surplus reseller. 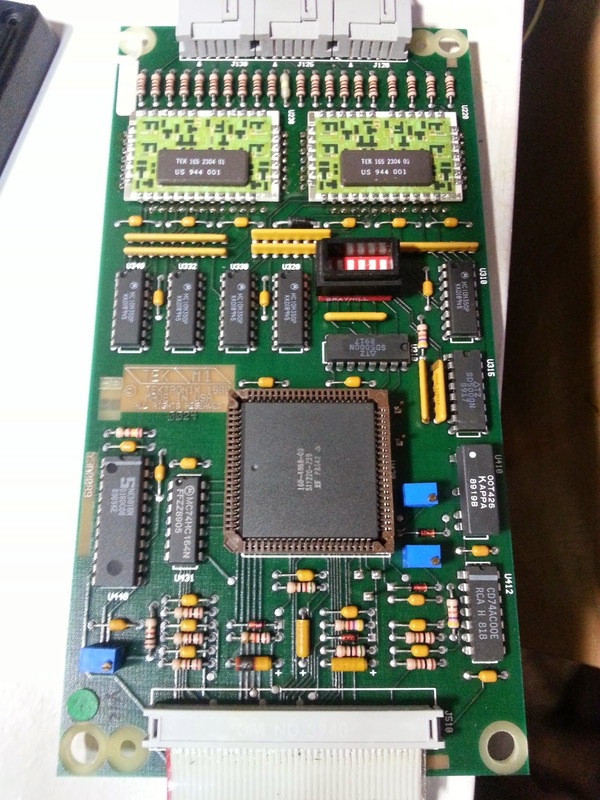 Tektronix 1230 Logic Analyzer looks interesting. Anyone still using this kind of devices. Is there any updated model available nowadays in a market. plz, tell is yes. The Tektronix 1230 and it’s brother 1220, 1225 are obscure models. The difference between the 1225 and the 1230 is the number of probe ports. The 1220 has two, the 1225 three and the 1230 four. The only inconvenience about this line of logic analyzer, is the lack of information and documentation. Most of us who have one is because we’ve either found it in a local surplus, or it was being thrown out. The probes are what usually make people stand back from buying a unit. They are hard to find at a descent price. 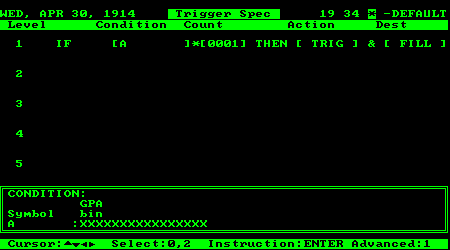 I scanned the manual to the 1225/1220 and Toughdev has it. I don’t know where he will post it or when he will. Yes, I have the manuals sent from you. I have also OCR’ed it and searching the PDF will be a bit easier. Will update the article this weekend with the links to the manual and the 1230 ROMs dump when I disassemble the machine.